Image courtesy ABC/Randy HolmesNow that he’s an Oscar nominee — for his #1 hit “Happy” — Pharrell Williams is getting a special perk: he’s been invited to join the Academy of Motion Picture Arts and Sciences. If he accepts the invitation, he’ll have the power to vote each year on who gets to take home an Oscar. He is one of 271 artists and executives who’ve been invited to join this year, in a variety of categories. 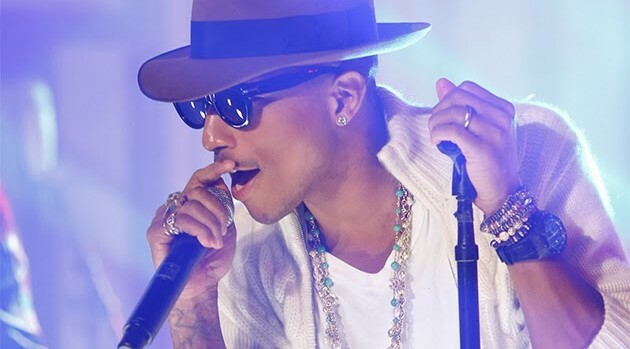 Pharrell has been invited to join the Music branch, along with jazz musician Stanley Clarke who contributed to The Best Man Holiday and Boyz N the Hood. Actors who’ve been invited to join the Academy this year include Michael Fassbender, Lupita Nyong’o, Chris Rock, Julia Louis-Dreyfus, Josh Hutcherson, Paul Dano, Clark Gregg, Jason Statham and David Straithairn.